Daymark has been supporting Habitat for Humanity since 2013. We thank all our volunteers for giving back to the community. Anyone wishing to donate to Habitat for Humanity can do so here. 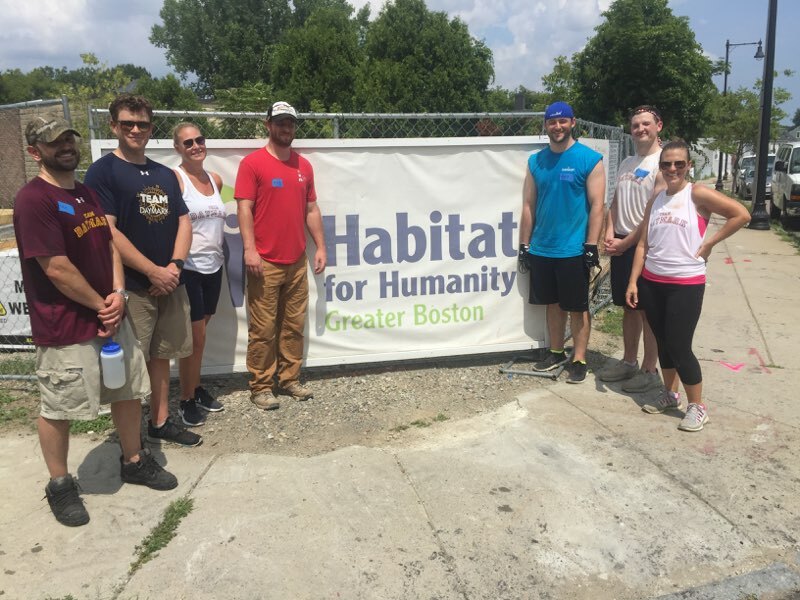 Habitat Greater Boston was established in 1987 to serve the City of Boston and the surrounding 25 cities and towns as an independent affiliate of Habitat International. With a mission to help families help themselves by providing an opportunity to break generational cycles of poverty through homeownership, Habitat Greater Boston builds low-cost homes by forming partnerships with low income families in need of decent and affordable housing, and believes that everyone deserves the opportunity to live in a safe, decent environment.